Because I guess more went on than just the few hours I spent watching Joey finish his marathon. Like watching this beer kickball game on Friday evening. It’s a co-ed league, but I am definitely not playing. I know you’re all thinking, “But that sounds so fun!” And I’m sure it is. For those of us who weren’t traumatized by playing kickball in elementary and middle school. For someone who danced competitively most of their life, I’m so unathletic. Even I’m shocked at my lack of athleticism and coordination sometimes and I should be used to it by now. Also, more beer ended up in the grass/on people’s clothes than was consumed during this game. 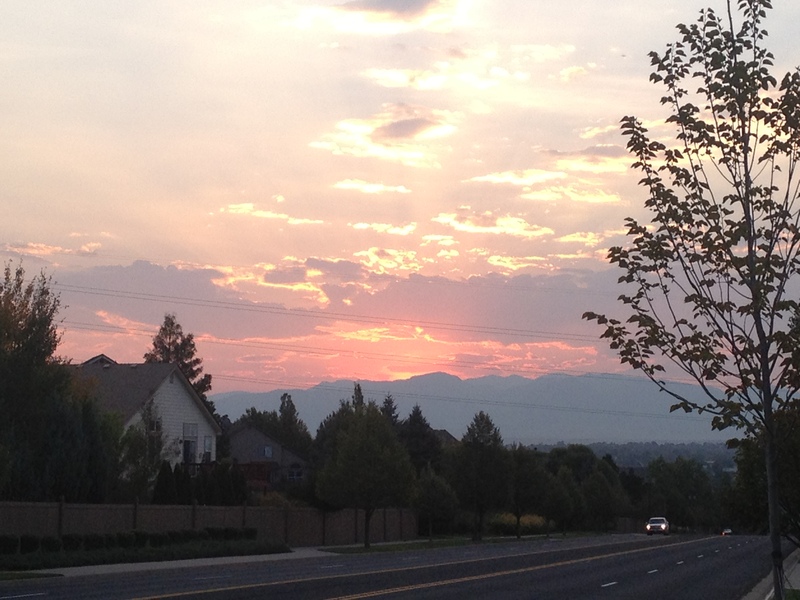 I basically can’t get enough of Colorado sunsets these days. When I walked out of my apartment on Thursday evening and saw a sliver of that hot pink sky behind the buildings, I think I actually said “YES!” out loud and then basically speed walked so I could get a “good picture” before the sun actually set. 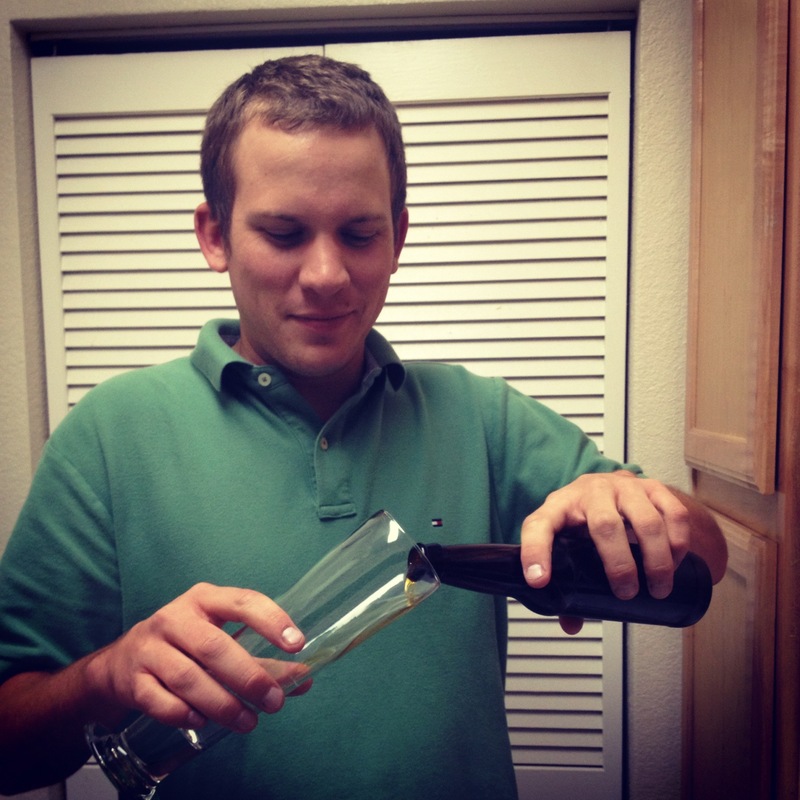 We finally got to try our own beer! I thought it tasted pretty good but Joey has tried it again since and decided it’s a little flat. What do I know anyways. If this is our worst batch, I’m pretty happy with it. We’re ready to brew our second batch next weekend! 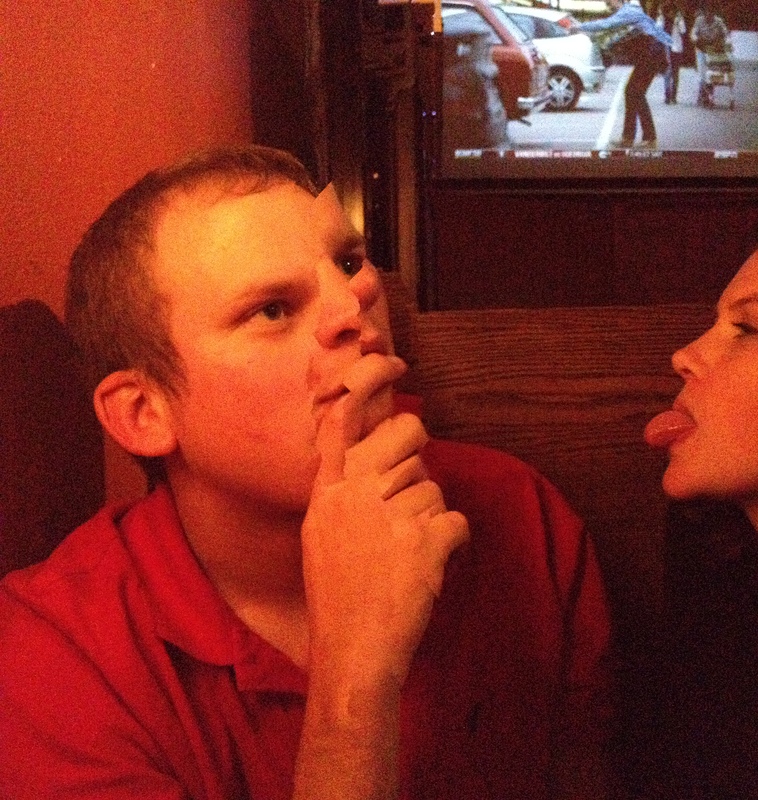 The new panorama feature on the iPhone may be Apple’s greatest invention. I won’t even tell you how long we spent getting a perfect picture at the home bar after kickball on Friday. I’m sure it was really entertaining for anyone watching. P.S. What is this kid doing in a bar the night before running a marathon?! Pretty sure Joey didn’t eat all day after his race until 5 PM, when I finally said, “Uh, are you going to eat today?” Then he had lunch, dinner, dessert and second dessert all within a couple of hours. 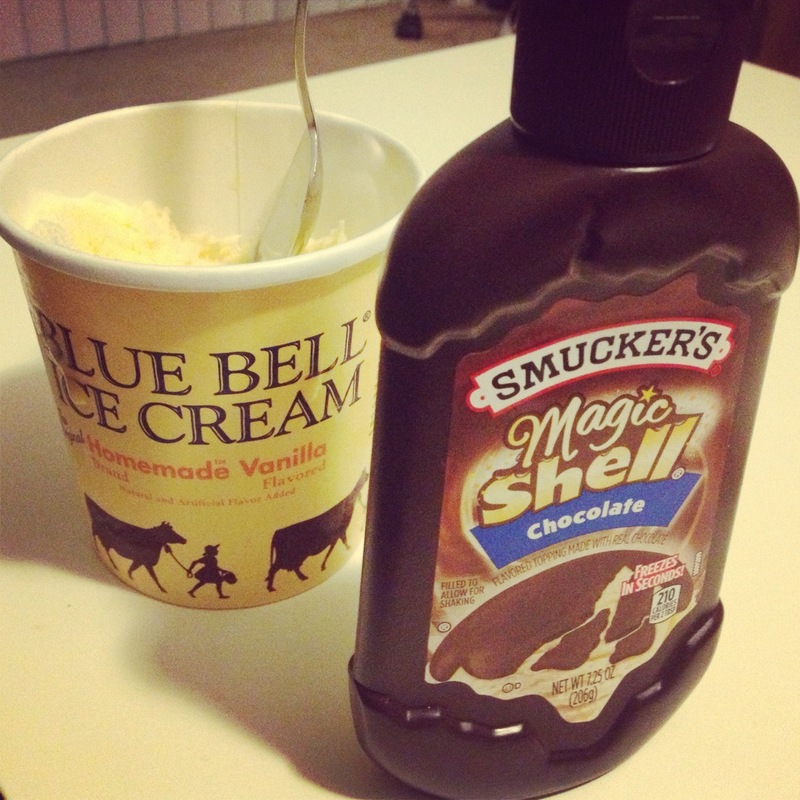 If you bring out the whole bottle of magic shell and the entire carton of ice cream, I guess you plan on finishing the pint. 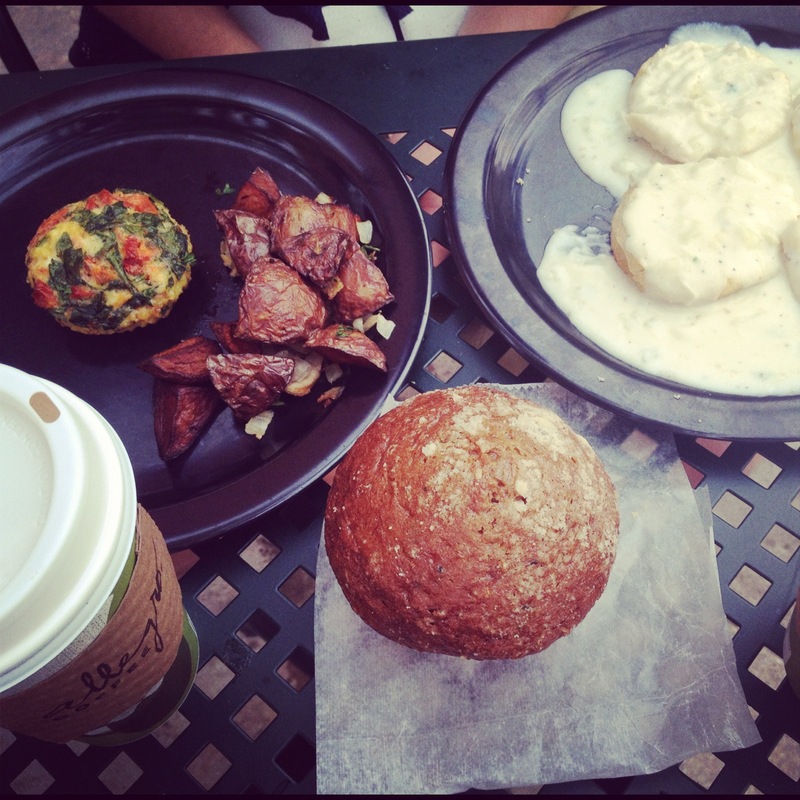 On Sunday, I dragged Joey to the Boulder Whole Foods to have breakfast with me. Turns out bringing him with wasn’t as fun as going by myself last week. Probably because he is physically unable to just sit and enjoy the act of doing nothing for longer than 30 seconds. I told him to go run around the parking lot but he didn’t go for it. Definitely a more low key weekend, but sometimes you need that. 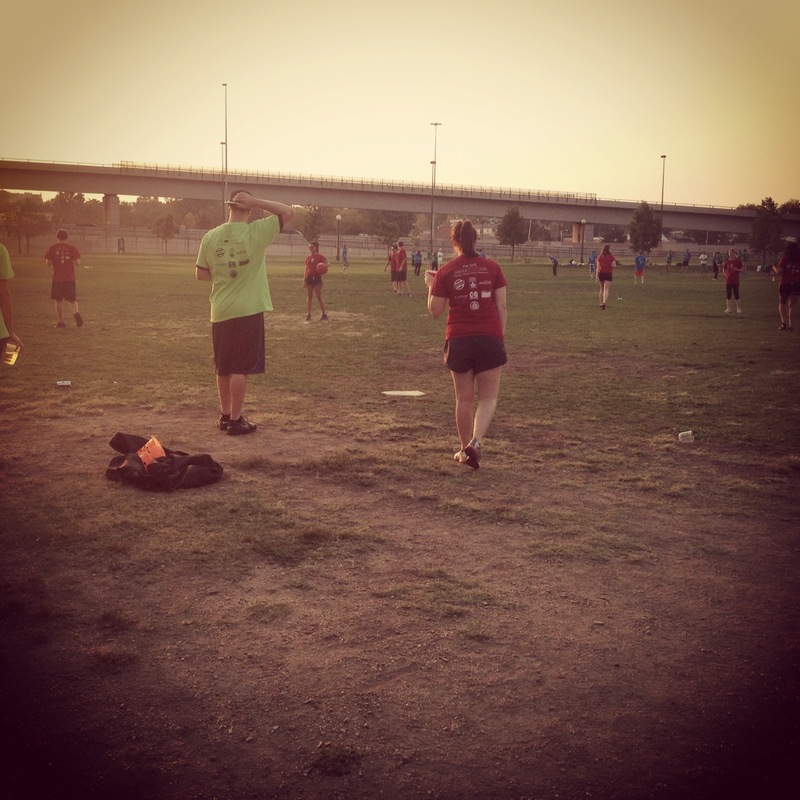 When’s the last time you played kickball? What’s your favorite Sunday morning activity? Yay for his marathon, and yes the beer kickball game sounds like a good time. I am so not athletic myself. I know EXACTLY how you feel! Even catcher would make me nervous! You’re not alone.